You’re used to feeling your dog’s wet snout every day when they greet you or nuzzle up to you on the couch after a long day. So when their snout has gone dry, it’s normal to wonder what’s going on. There are a few reasons this may happen, ranging from the normal to more serious. Here are a few causes and ways to treat your pup’s dry nose. Dogs get dry noses for many reasons. Some dogs simply don’t lick their noses all that much, leading to an overall drier snout. Just as humans develop springtime allergies and get sunburns, dogs experience physical changes when their environment changes. Big drops or rises in temperature can lead to excessive dryness. Skin dries out in the winter, and dogs can experience sunburn, including on their noses. If your dog spent several hours outside in the blaring sun and that evening you found their snout to have dried out, this may be the cause. And during the winter, take stock of your pooch’s favorite nap-time spot. Is it right in front of a heater blasting dry air? This may be the culprit. Have you brought in any new toys or cleaning products into your home? Your dog may be having a reaction to any changes to their toy collection, carpet cleaner or even new food you just bought. If you’ve recently introduced a new plastic food bowl, for example, that may be the cause of a newly dried-out snout. 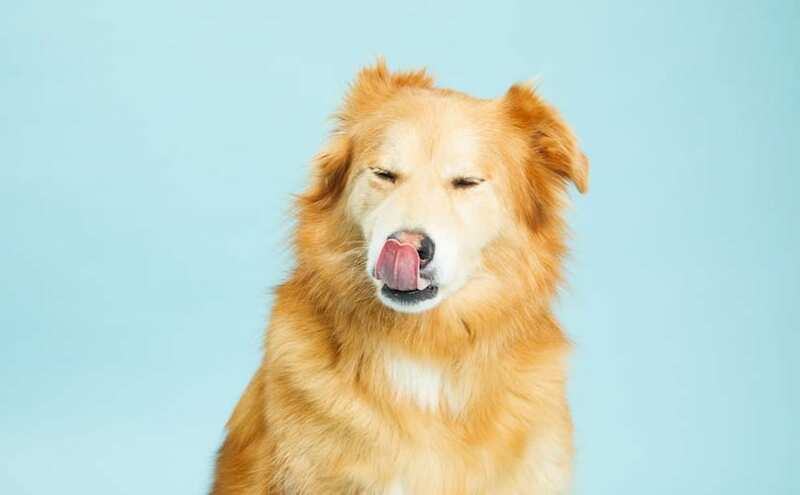 Dogs can have allergic reactions to everything from new food to spring pollen and mold, all of which can lead to your pup licking their nose to alleviate symptoms. If you notice your dog scratching or rubbing their nose in addition to the dryness, allergies may be to blame. Separation anxiety or general nervousness may be a factor in a dog developing a dry, crusty nose. While some dogs have conditions that cause dryness on their own, take notice if your dog has developed a nervous habit of licking their nose. Just as humans licking their lips will cause them to dry out, a dog’s anxious habit of licking their nose will do the same. Chronic diseases such as lupus and pemphigus can cause a persistent dry nose. If your dog’s dry nose doesn’t resolve itself and is accompanied by persistent coughing, sneezing any other signs of illness, take your dog to the vet to get some testing done. It may be the flu, allergies, or something more serious. If your dog has a persistent dry, crusty nose, take comfort in the fact that there are plenty of treatments available to help get that snout back to normal, starting with treatments at home. First, if your dog’s dry nose is accompanied by other physical symptoms such as persistent sneezing, coughing, sluggishness or if you suspect they have a fever, it’s time to call the vet. It’s always better to be safe in these circumstances. If you notice any changes in the color of your dog’s nose in addition to dryness, that’s another reason to give your vet a call. If the cause of your dog’s crusty nose is allergies, your vet may prescribe some antihistamines or a round of steroids to help your dog beat back allergies. If it’s something more serious like an autoimmune disorder, it’s best to figure that out sooner rather than later, and you can move forward with your vet for different rounds of treatment. 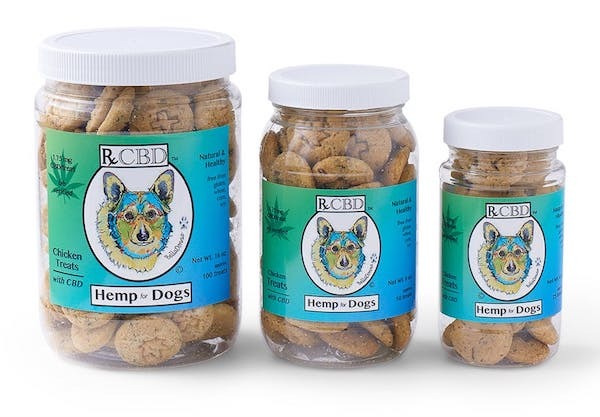 If your dog has a crusty nose as a result of anxiety or allergies – and again, you should visit a vet to determine the reason – there are some supplements (and CBD options) that can help them out. What Are Some At-Home Remedies? 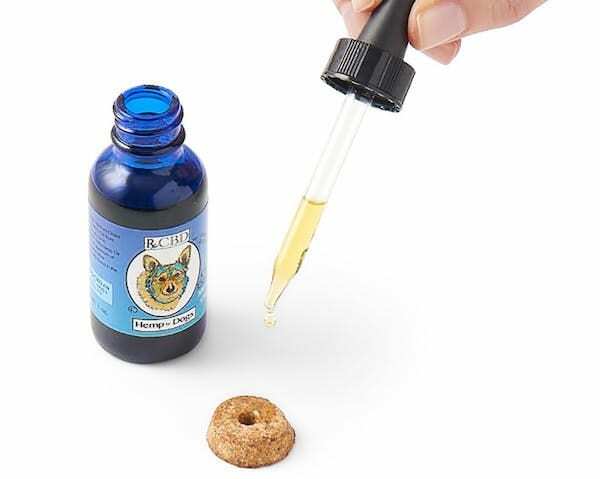 In addition to calling your vet – or before calling, if your dog’s nose has just started to dry out – take stock of your dog’s environment and try some at-home remedies to see if they’ll clear up your dog’s problem. Start by shopping for soothing balms and creams to give your dog some relief from dryness and itchiness. Dogs tend to lick and scratch at problem areas, which can worsen symptoms. By using a soothing cream, you may give your dog the break from irritation they need to stop excessive licking and rubbing on their own, clearing up their dry nose. Make sure any balm you use is safe to digest for dogs, as they’ll continue to lick their noses even as they improve. If you’re anxious and want to get your dog some relief right away and before you get a balm or cream at a pet store or online, you may be able to find some treatment options right at home. Rub a little olive oil, coconut oil or almond oil on your dog’s dry nose. You can also apply these at-home treatments to dry paws and ears. No need to use too much – a little goes a long way. You can even add a teaspoon to their food once a day to encourage healthy skin starting with their diet. It’s also important to examine your dog’s living environment. Have you started using a new laundry detergent? 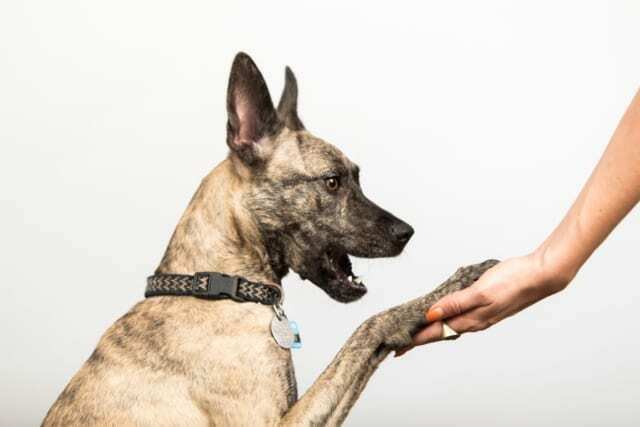 You may not have any negative reactions yourself, but your dog may be. Similarly, some plastics can cause an allergic reaction in dogs. If you recently replaced your dog’s stainless steel bowl with a plastic one, you may have found the culprit. Speaking of bowls, is your dog’s bowl always filled with fresh, clean water? If it’s not, your dog may be suffering from dehydration, leading to a dry nose, just as dehydration will lead humans’ skin to dry out. Dogs may also develop irritation and crustiness around their snouts if there’s mold present in the house. Do a deep cleaning in your house, particular in areas prone to develop mold such as the kitchen and bathroom, to give your dog a fresh and clean place to live and to reduce any issues they may have with mold. Looking For More Articles Like This One?